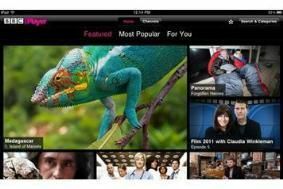 BBC iPlayer links up with ITV, Channel 4 and C5 catch-up TV services | What Hi-Fi? The move, first mooted in May last year, was originally due to happen by the summer of 2010, but has only now come to fruition. "It's been a while in the making, but this has been an extremely ambitious and technically complicated project," says BBC Future Media & Technology head of audience-facing services Paul Clark in a blog post. "More broadly, we think BBC Online should serve as a hub to support other UK sites and want to double the traffic we send externally. "Given the popularity of BBC iPlayer, we hope this feature will support fellow broadcasters and boost the overall uptake of video on demand."